“My interest stems from a desire to tell stories through type. My approach is essentially an intersection of illustration and typography,” says 26-year-old designer Shaivalini Kumar whose work is a mix of graphic representation, geometric forms and illustrated elements, which could be characters, motifs, patterns or even textures. Elaborating on what she loves about her aesthetic, she states, “Typography — and specifically ‘illustrated typography’ — is, for me, a great medium to explore as it is a combination of craft, detail, storytelling, characterisation and personal expression.” Kumar — who has acquired formal training in graphic design, but is self-taught when it comes to illustrated typography — describes her work process as a “mix of analog and digital” in the sense that she always starts with a sketch which she then digitises to create her final product. 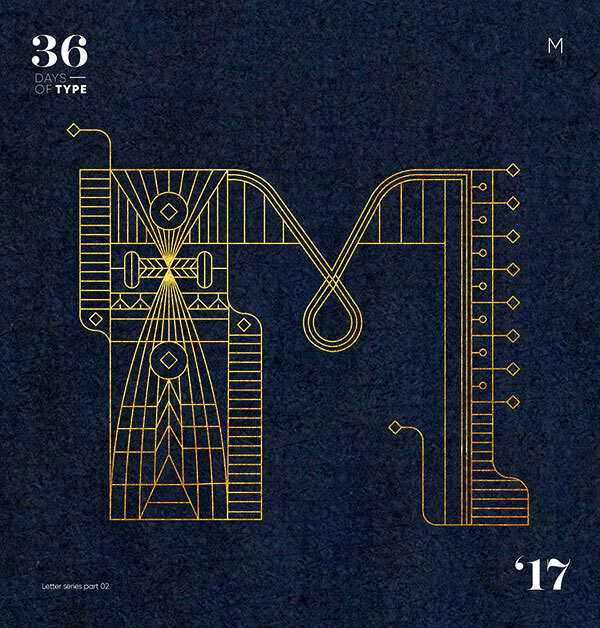 The Copenhagen-based visual storyteller has collaborated with a slew of international brands, but one particularly unforgettable project she worked on was Adobe’s Make it conference in Sydney, for which she created a typographic brand identity to represent the essence of the creative community. Outlining the role type plays in a brand’s identity, she says, “Type acts as one of the core building blocks of the identity and the brand itself, and also provides a certain tone of voice and personality to the brand.” Kumar, who participated in this year’s edition of #36daysoftype last month, says that she would love to do a project that promotes typography in different vernacular languages and local scripts.